For those individuals who enjoy a “back to nature” way to unwind and relax, check out the various healing hot water holes/springs in the Wood River Valley. Individuals flock to the remote Hot Springs to revive and rejuvenate themselves. Many of the Hot Springs in the area are accessible year round. There are public, free hot springs and commercial hot springs. The most remote Hot Springs can be found in the Selway-Bitterroot Wilderness area near Stanley, Idaho. There are a number of Hot Springs in the area surrounding Sun Valley, Idaho. Many of these springs are thought to have healing powers. Whether due to the hot, mineral water or perhaps due to the ambiance found in the natural setting, individuals flock to the remote Hot Springs to revive and rejuvenate themselves. Frenchman's Bend sees a steady flow of late summer visitors until sunset every night. It's easy to see why once you've set yourself into one of the hot and clear pools. 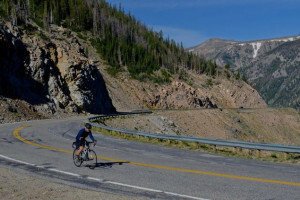 The scenery is great, people are usually pretty nice and it's only a short drive from Ketchum on a well-used, very bumpy dirt/gravel Forest Service. Located 7 miles out Warm Springs Road located on the west side of the road. Public use from 4 am to 10pm, bathing suits required; no alcohol; no glass containers and parking is restricted to a designated parking zone. Russian John is a great place to have a warm soak with a view. The area around the pool has a fire pit and bench. All in all, a very beautiful area and excellent warm soak for the hot summer months. Located 8 miles north of Sawtooth National Recreation Area Headquarters 1000 yards west off Highway 75. Accessible all year. Pullout may be plowed in during winter months. Nighttime closure is in effect. Elkhorn Hot Spring is a small soaking box on the rock between the road and the Salmon River. This hot spring can be found 5 miles east of Stanley on Highway 75, near mile marker 192. Water flows out of the springs into volunteer built rock and sand soaking pools at 110 Degrees. Located 6 miles northeast of Stanley on Highway 75, located on the edge of the Salmon River. The water flows out of the springs at 160 degrees, but there are built pools along the edge of the river to mix river water with the hot water. Sunbeam Hot Springs can be found just west of Sunbeam off of Hwy 75. Water flows from 2 springs, One 97 Degrees, and the Other 102 Degrees. Warfield can be found on Warm Springs Creek Road 11 Miles west of Ketchum on Warm Springs Road. Commercial Hot Springs located 12 Miles north of Ketchum - Outdoor hot springs filled pool open summer, winter. Cost to use the pool: $6.50 adult, $5.50 child (14 and under), Free (under 2) $5.5 0 senior. In addition to the Hot Springs mentioned above, the Stanley Hot Springs is a series of primitive soaking pools located in the Selway-Bitterroot Wilderness near Stanley, Idaho. You can access these more primitive hot springs via Forest Service Trail 211. Because they are not easily accessible, there are not a huge number of people using them.